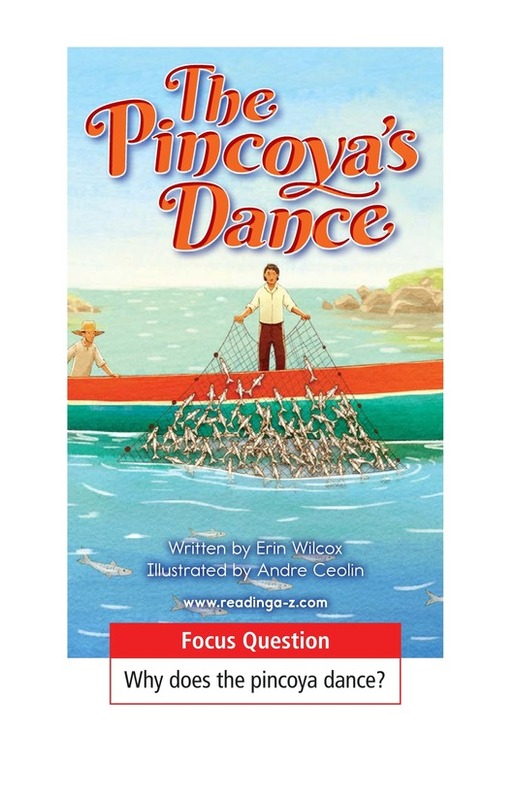 After two brothers take over fishing for their family, they are reminded of the legend of the pincoya. 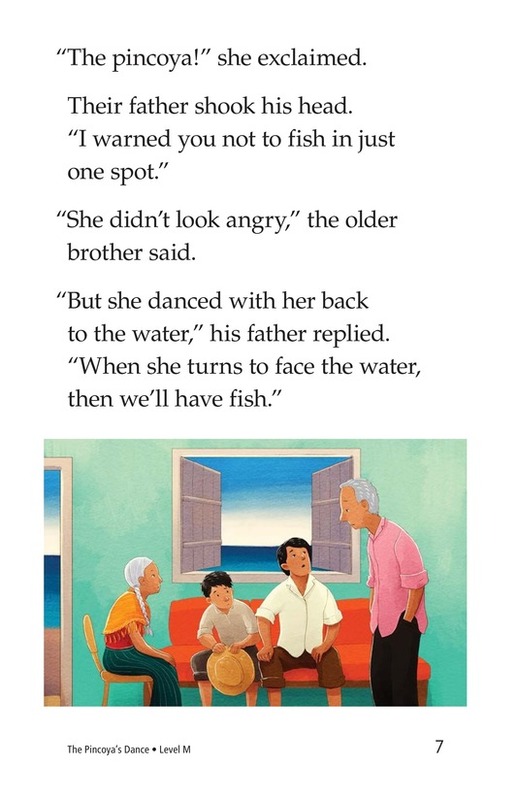 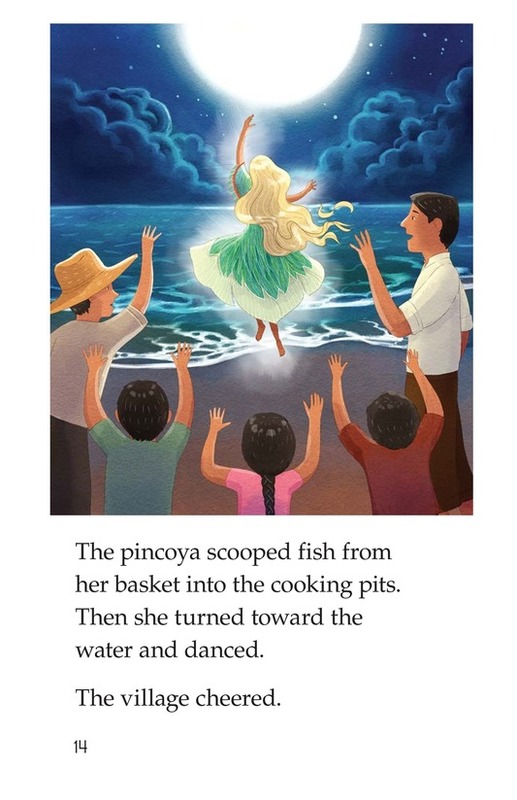 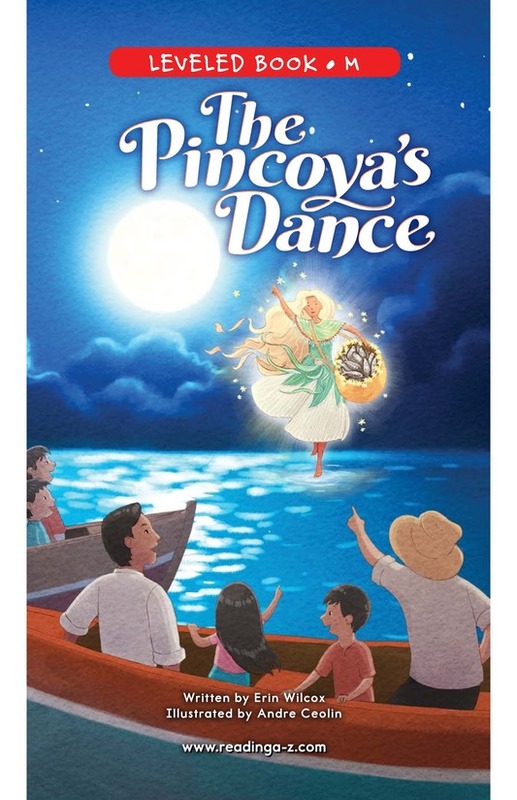 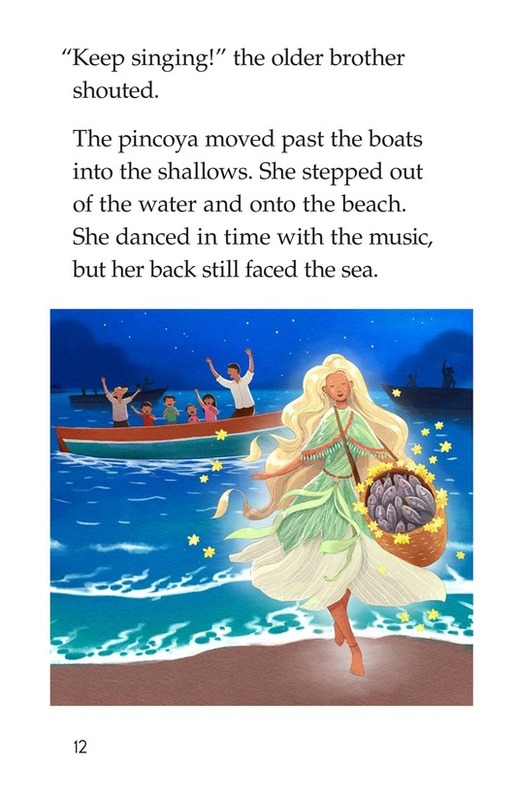 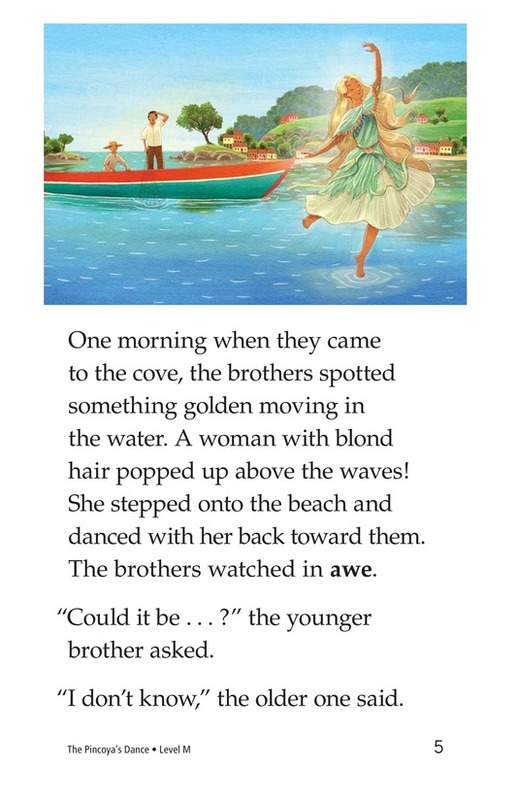 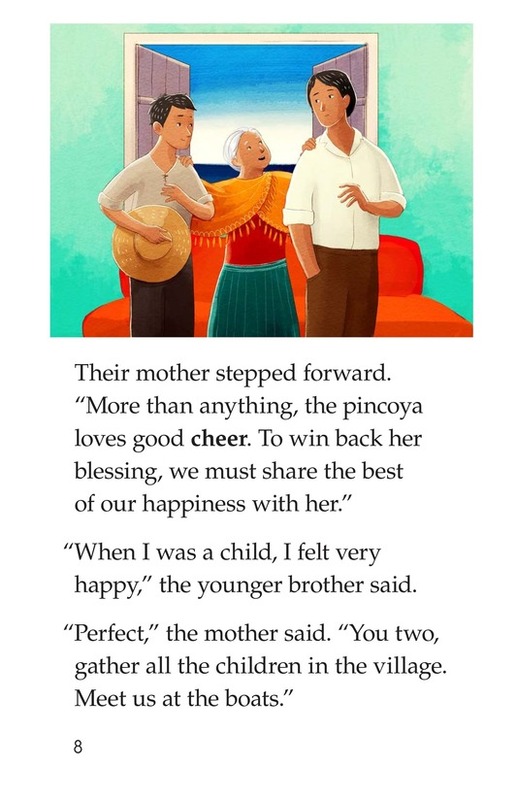 The Pincoya's Dance is the story of two brothers who ignore their father's warnings and upset the pincoya, a sea goddess who controls the bounty of the ocean. 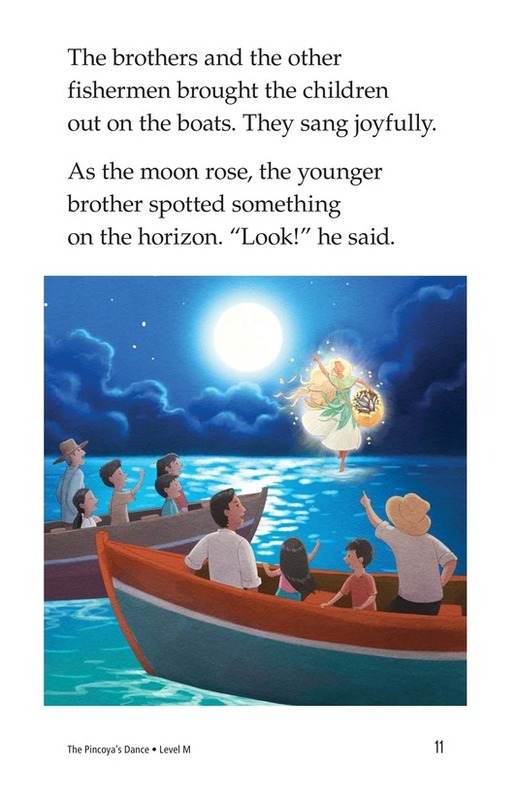 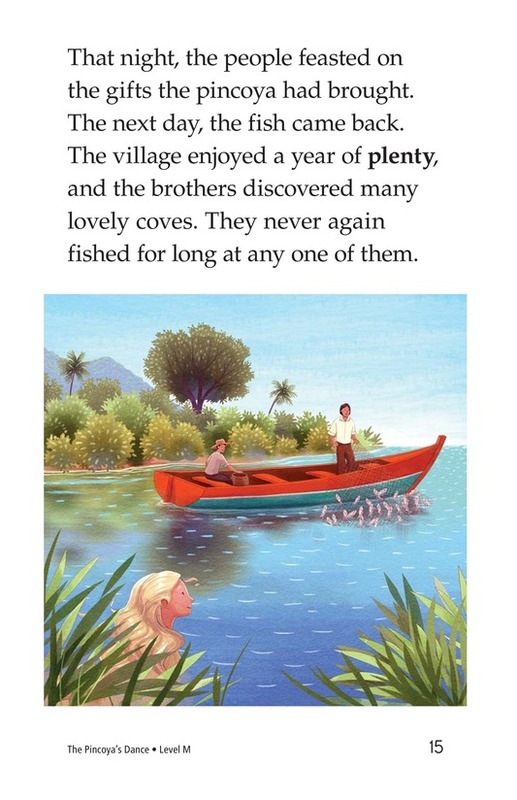 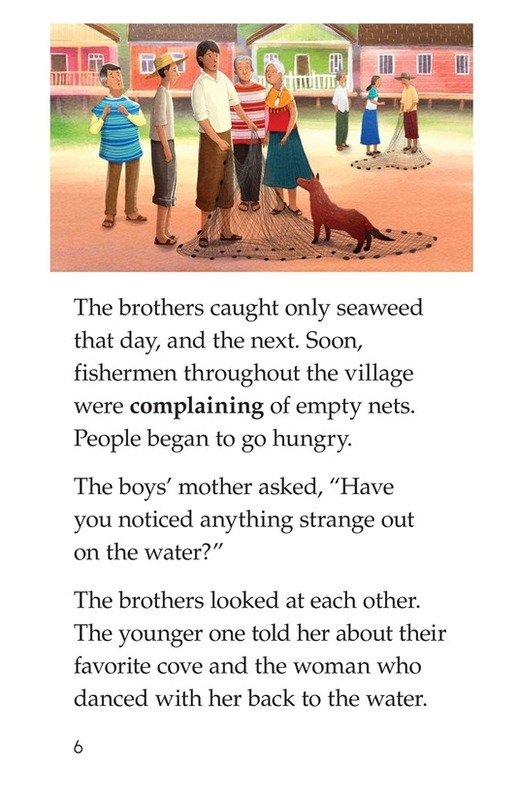 The brothers work together with their parents and the villagers to find a way to make her happy again. 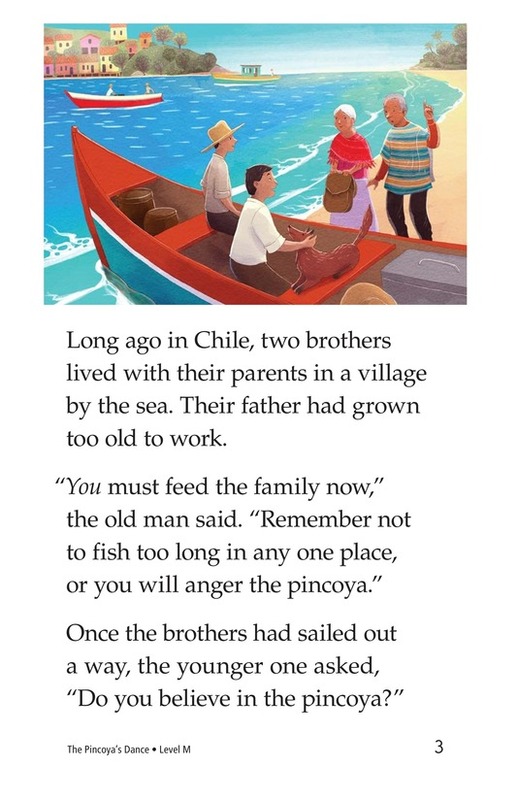 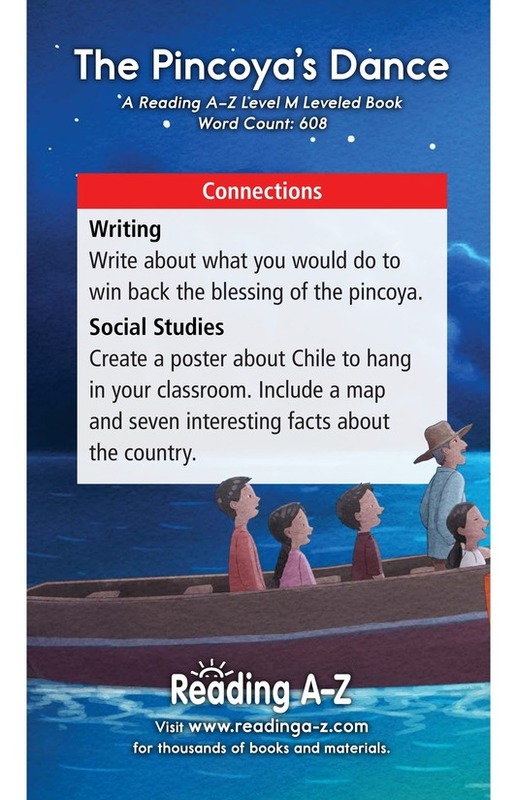 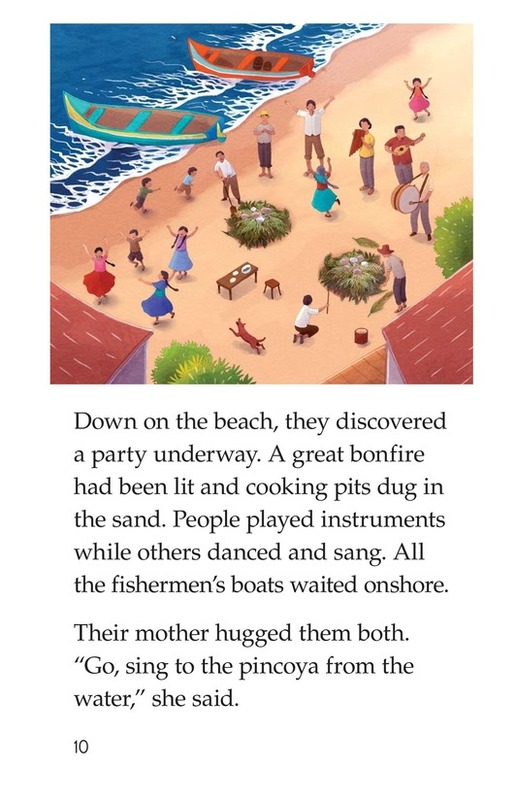 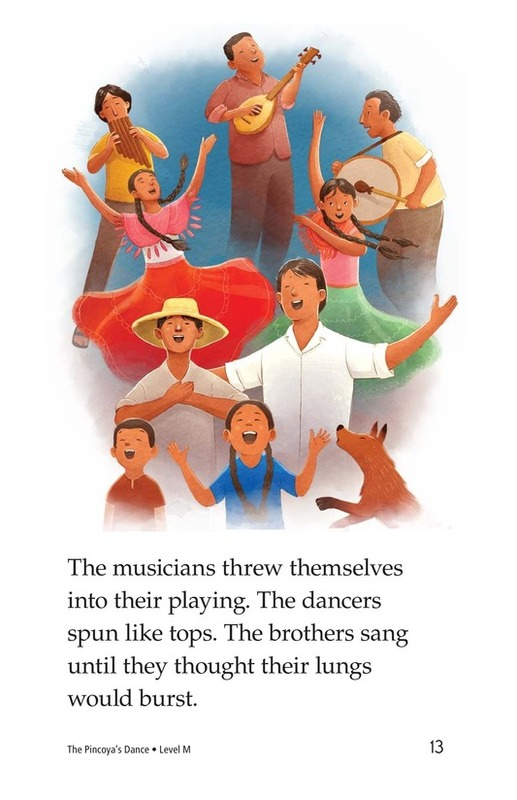 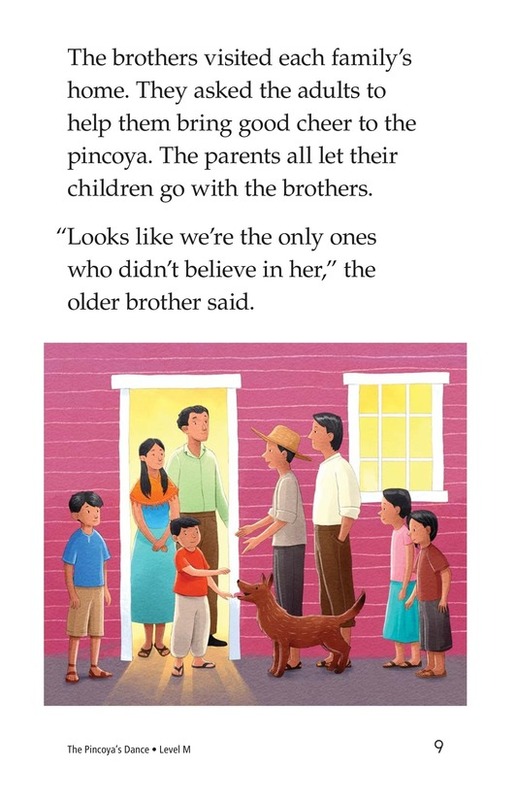 Colorful illustrations will help students learn about this Chilean tale. 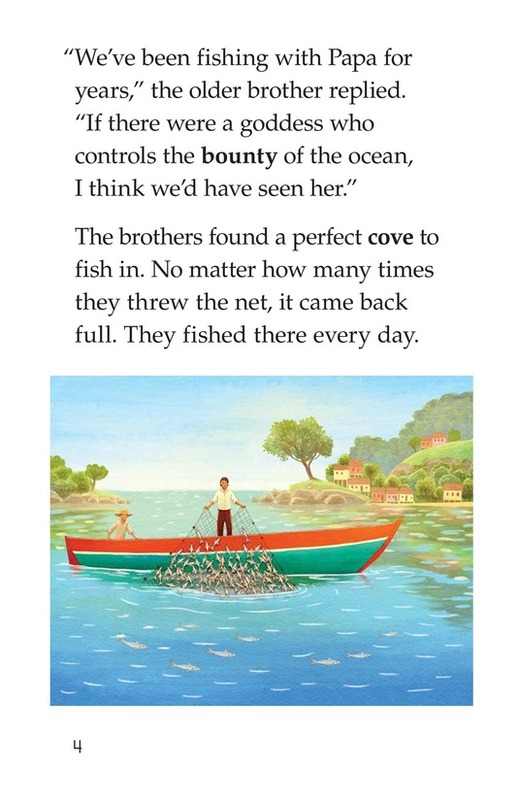 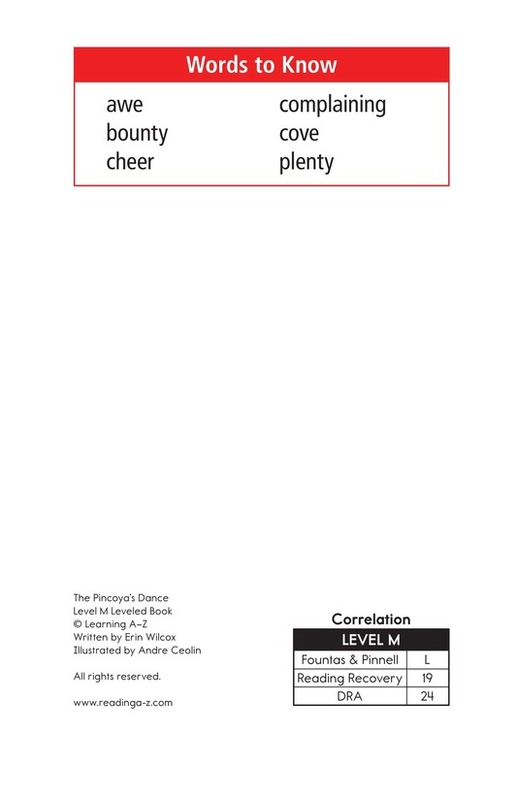 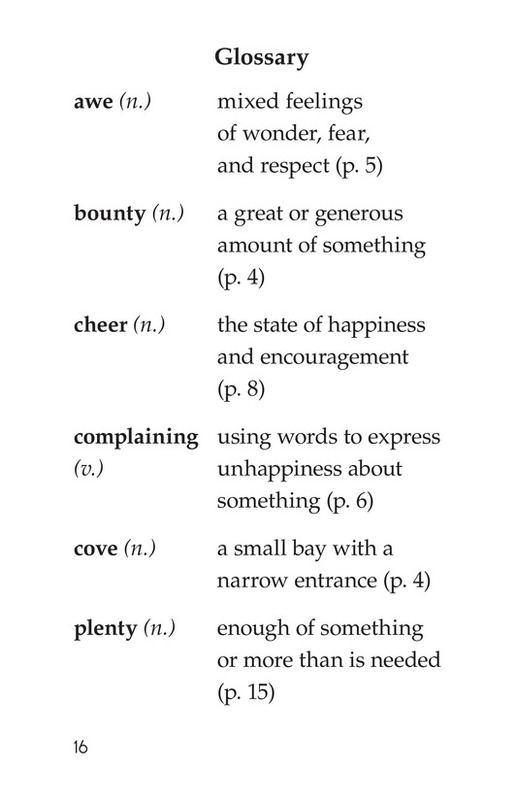 This book can be used to teach students how to sequence events and retell to better understand the story.